S.67 Immigration Act 1959/63 allows citizens to enter Sarawak to carry out their legitimate political activities. Sarawak care-taking Chief Minister Adenan Satem’s statement yesterday that he needs to “protect the interest of Sarawak from unsavoury elements, whether political or otherwise” by banning opposition MPs and leaders from entering Sarawak, and that opposition leaders can enter Sarawak right after the state election, is not only a clear sign that Adenan is facing an unprecedented battle against the Opposition this time, but it is also a blessing in disguise that the people of Malaysia and particularly Sarawakians can see for themselves the true face of Adenan! ysia or DAP Sarawak has never raised a question on Sarawak’s autonomy. In fact, Sarawak DAP is at the forefront in advocating the rights and interest of Sarawakians, well-enshrined under the Federal Constitution but neglected by Barisan Nasional governments (both Federal and State) for decades. Sarawak’s immigration autonomy was supposedly designed in the interests of the Sarawakians and Sabahans, to protect youths of East Malaysia from being swamped and displaced by hordes of West Malaysian unemployed. 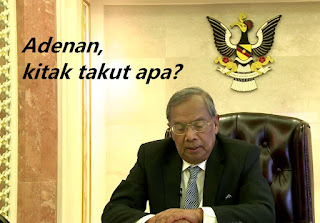 However Adenan is using it as a political sledgehammer to ban prominent opposition members from entering the state of Sarawak. This is clearly an abuse of power which is motivated to curb the opposition’s right to exercise legitimate political activity in Sarawak. Under s.66 of the Immigration Act 1959/63, there are provisions to deny entry to citizens based on certain criteria. However the enforcement of the Act lies solely on the East Malaysian immigration authorities who have the right to grant or deny permits to individuals entering Sarawak. 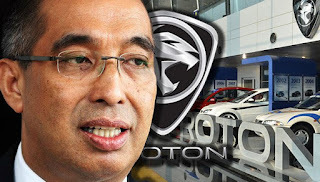 Salleh Said Keruak’s article entitled “The Proton willing buyer, willing seller situation” seems to be politically flavoured to target Tun Mahathir rather than explaining the government’s plan to turn around the profit-lossing national carmaker. While acknowledging that creating a homegrown automobile industry will not be viable as long as it depends only on the support of domestic market, Malaysian must demand that the Federal government to cut down rhetoric and explain to the public what it has in stock for the national carmaker. Salleh’s article does not assist in helping ordinary Malaysians understand the government’s position on this, a failure on his duty as Communication and Multimedia Minister. Majority of the Malaysian families own a Proton at least once in a life time (I am still a proud owner of a Proton Wira 1.5M), whether they bought it as a first-hand or a second-hand buyer. Proton was an affordable cars during its early days due to government subsidies and heavy taxation for foreign cars. However it does not dominate the Malaysian car market since early 2000s due to its quality, if the quality of Proton cars were indeed on par with foreign brand cars then the demand for Proton cars will definitely increase. The Ministry of International Trade and Industry (MITI) yesterday said in Parliament that Proton has improved the quality of its car tremendously that it is “on par with many renowned carmakers in the world”. This statement from MITI came as a total contrast to Salleh’s statement. Is the right hand speaking to the left hand? Certainly they do not as Salleh’s statement is nothing but only meant to discredit Mahathir’s legacy. The arrest of Rafizi Ramli has once again proven that BN government will use whatever means to stifle dissent. The arrest of PKR Secretary-General and MP for Pandan, Rafizi Ramli, under the Official Secrets Act, has once again proven that the current BN government under PM Najib will use whatever means to stifle dissent. The Official Secrets Act of 1972 offers a broad range of interpretations regarding what is considered a state secret and allows for arbitrary detention and arrest without a warrant for the mere assumption of possibly breaching the act, under section 18(1) of the Act. In addition to this, the act also reverses the burden of proof normally requires to prosecute a criminal case; instead of “innocent until proven guilty”, the Act states the suspect is “guilty until proven to the contrary”. This is provided under section 16(3) of the Act. The enforcement of this law to cover up information regarding 1MBD is evidence of the poor regard for human rights by the Barisan National government. 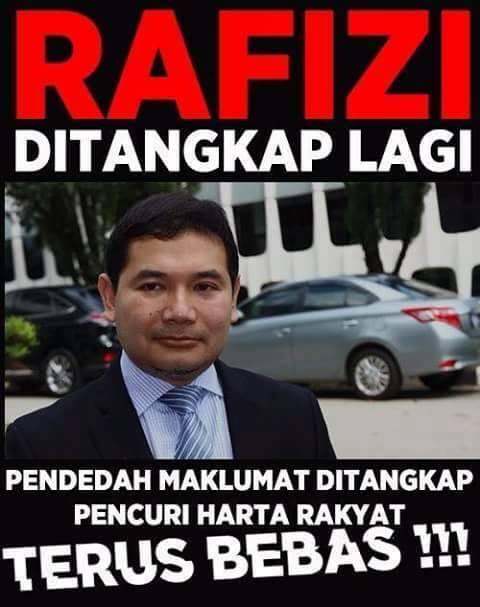 The manner in which Rafizi Ramli was arrested just adds to the fact that the situation for human rights in our beloved country is deteriorating. The arrest was made pre-emptively right outside parliament, and according to the media he was not even allowed to go and pick up his son and surrender himself to the authorities afterwards. This is not only unreasonable on the part of the authorities but also degrading. 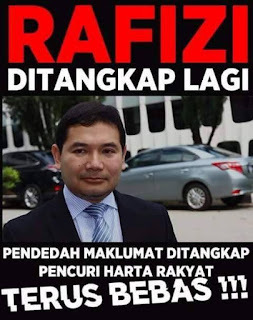 There has not even been arbitrary evidence of Rafizi Ramli refusing to cooperate with the authority in any investigation, rather the government is abusing the powers of this act to arrest and detain prominent opposition members for speaking up about the controversy regarding 1MDB.